The new formula for game enjoyment has been to crank out the resolutions and push the graphical envelope (on some systems). So what happens when you pump the graphical power into Zelda games that have already pushed the level of graphics for their time while still delivering amazing gameplay? You get Zelda in HD looking amazing with either enhanced textures or new shaders made possible by modern computers. 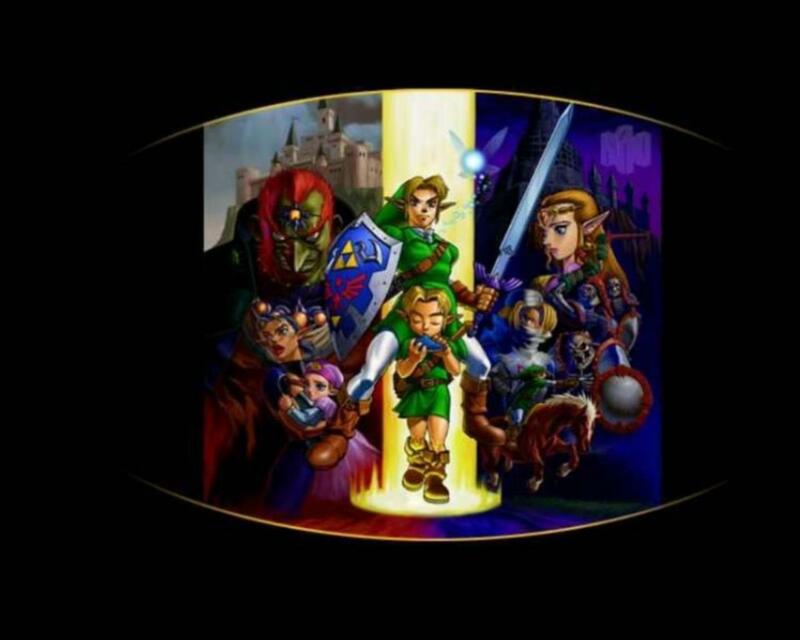 Ocarina of Time stands as my favorite Zelda game even though it was the second game I played in the series. This is a game that deserves the word "EPIC" to describe the innovation of gameplay and development of an exciting story. A strategy guide for Gameboy games made Link's Awakening seem like a lot of fun so I tracked down that game. Thus Link's Awakening became my favorite 2D Zelda. Based on just that game alone, my mother bought me Ocarina of Time used (I think I got it in 1999). I never saw any footage of Ocarina of Time before it was released and had absolutely no hype about the game because I didn't know at the time there was a console Zelda. I wasn't even aware that the NES Zelda was the same series as Link's Awakening. So I came into Ocarina of Time with only Link's Awakening as my basis for the Zelda franchise. I'll save my opinion about Ocarina of Time for some amazing blowout review in the future when I can dedicate enough words for the task. For now, I am always amazed at how people are able to retexture Ocarina of Time to make it look like the textures were released today. Thanks to modern computers, we can emulate the game at almost any resolution; I usually choose to play at 1280 x 720 (720p). The only downside is that emulators can't currently increase the number of polygons to give the game more inherent details. Like I posted in the popular N64 Texture Enhancement Projects/Packs post, there are a lot of options available for Ocarina of Time. I haven't seen this video until recently and I only wanted to post retexturing videos that were native HD. Make sure to crank it to 1080p! This texture pack is what it would be like if Ocarina of Time had Wind Waker graphics. I notice that the textures in Ganon's Castle are top notch while losing a little detail to give the cartoony feel. Ganondorf looks especially good. The retexturer made some creative design choices by making Link blond. The Legend of Zelda: Twilight Princess was the Zelda game that I overhyped too much so I ended up very disappointed with the end result. The main problem was that Nintendo in a marketing move decided to delay the Gamecube version so that the development team could add and tweak Wii Remote functionality. This means that I had to wait an extra year to get the game when the Gamecube version was finished, just waiting for Nintendo to give the green light. 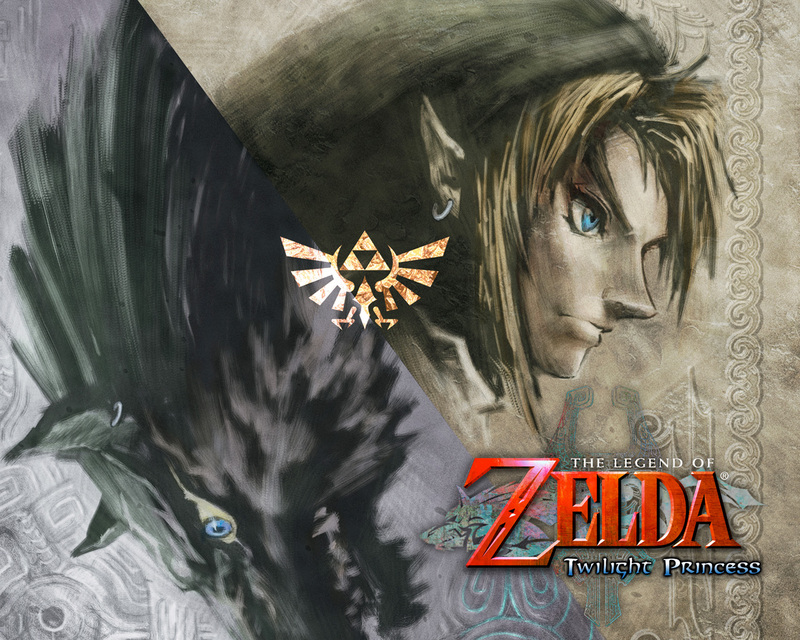 I will always remember Twilight Princess as the Zelda game that almost could have beat Ocarina of Time. The newer, more "mature" graphics were really good. The development team created a unique situation with the Twilight Realm (ala the Dark World) but the game failed in certain area. Zant is just a puppet and Ganondorf comes out of nowhere (although that cutscene was great with him slaying the masked guy). Zelda is an overshadowed character by the Twilight World leader Midna and goes into hiding (Shiek was supposed to be a character since the developers had concept art). Link apparently loves Midna more than Zelda. The main problem was that alot of the gameplay was uninspired. The cookie cutter dungeons and treasure chest items made it seem like Nintendo was just going through the motions. Nevermind that the first one to two hours of tutorial village were very painful and made me want to stop playing. Yes, I know how to swing a sword, I only defeated Ganon once or twice before; just give me an option to skip to the first dungeon. There are a few differences between the original Gamecube and Wii graphics for Twilight Princess. The Wii version has more "bloom" that can be seen on the shield. I was able to easily tell the difference when I entered the Castle Courtyard at the end of the game and there was not much bloom on Link's shield in the Gamecube Version. I have played both versions but own the Gamecube version (the true version). This graphical quality is what happens when you take a game and natively run it at a higher resolution (by programming for a higher graphical resolution or retroactively via emulator). This video is an oddity though since if it were native 720p emulation, then there shouldn't be black bars on the side (it should be a true Widescreen). Regardless, the graphical quality is better than the normal game. This video is a kind of benchmark for what native 1080p graphics could look like if it were being run on the Wii. Image how wonderful it would be to play this on your 55' LCD without seeing the Wii's stretched textures. Now we are taking a slightly upgraded graphically Wii Twilight Princess, though it pales in comparison to the 1080p version above. Ignoring the framerate slowdown due to the emulation being new/other reasons, the graphics look much much crisper than the native Wii version. Like many reviewers said about TP, Nintendo's texture team really did fail in creating good textures for cinematic sequences. The developers have complete control over what the player sees, so you shouldn't zoom close to Link's low resolution green rags. This is obviously a worse issue when you are emulating the game at a higher resolution. As far as I know, there is no way yet to enhance textures for Gamecube or Wii games. I have heard that people have been able to extract textures (from games like Twilight Princess) but I haven't heard to Gamecube or Wii texture packs yet. The moral of the story is that yes, being able to play the Zelda games at higher resolutions is great, but it is just icing on the cake. The gameplay is always the number one factor for Zelda games. Making them look even better than they originally started does add something else to the game.